Thanks to a generous $1 million donation by William C. Knapp, renovations were made to restore the Varied Industries Building, originally built in 1911. The Iowa Legislature appropriated $10 million toward the renovations. The three-year renovation included enclosing the building, removing 25 interior pillars, replacing the concrete floor and adding heating and air-conditioning for year-round use. Improvements also included repainting, replacing windows and the roof, and updating restrooms. 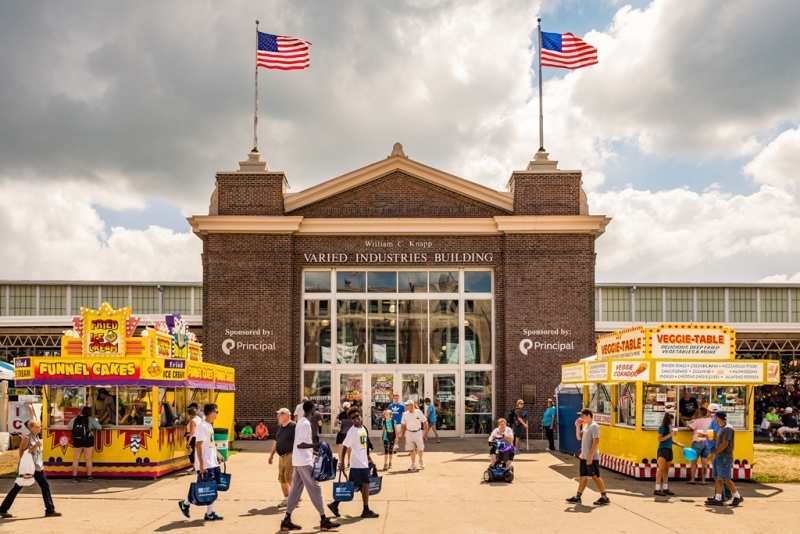 The 165,000 square foot building is now one of the largest four-season exhibition halls in the Midwest. Since its completion for the 2001 Iowa State Fair, hundreds of thousands of visitors have walked through the new building. In 2016 the bathrooms in the northwest corner of the William C. Knapp Varied Industries Building were upgraded with new fixtures and handicap accessibility.